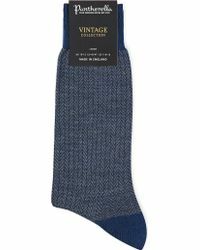 Producing luxury socks since 1937, Pantherella's range of hoisery is crafted in the family owned factory in Leicester by highly skilled craftspeople. 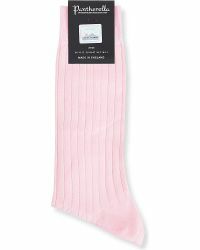 Passing down expertise from generation to generation, the label transformed the hosiery market with a new range of lightweight, seamless fine-gauge pieces. 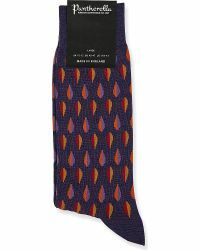 It started when Louis Goldschmidt, the man behind the brand, convinced machine makers P.A. 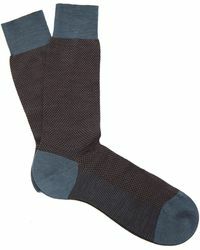 Bentley to produce a specialist sock machine, and they have continued to innovate ever since. 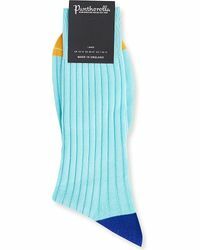 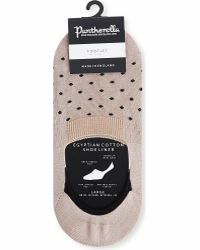 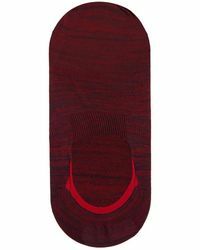 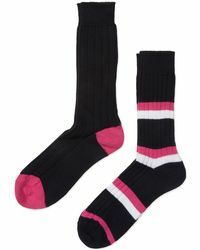 Invest in a pair of Pantherella socks with fine-linked toes, top-quality yarns and English made quality for long-lasting comfort.